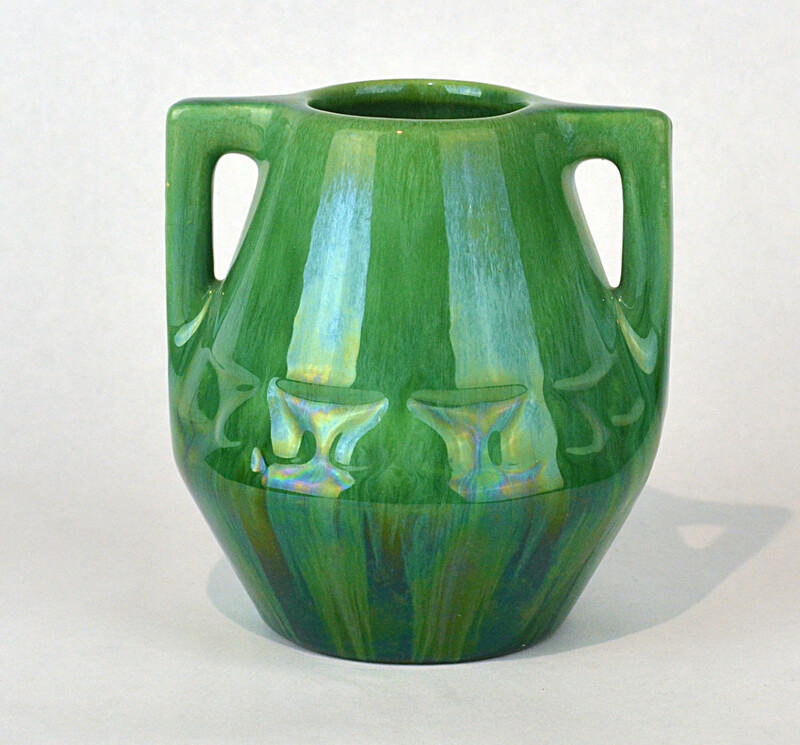 Description: This is an early Haeger vase. 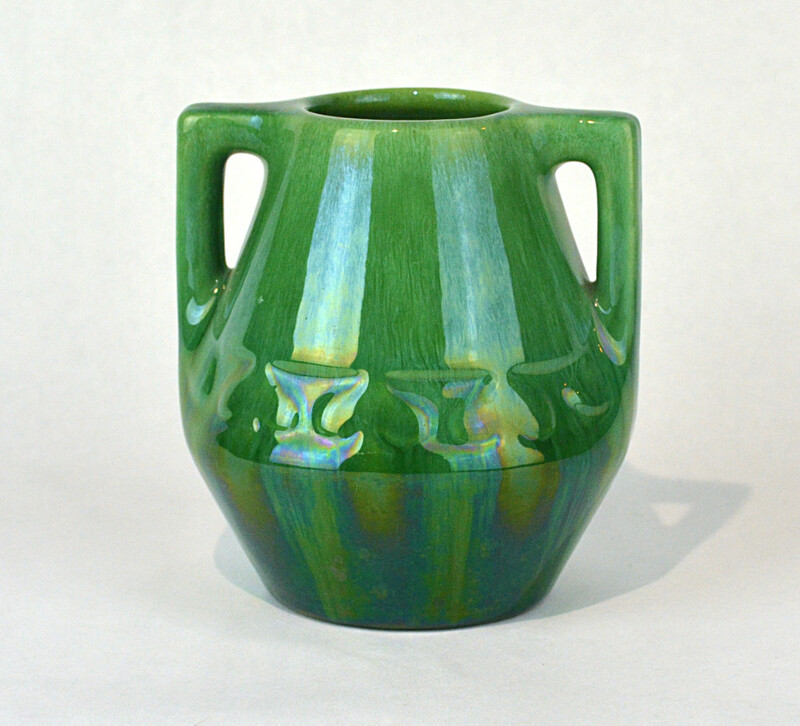 Really great cat eye green flambe glaze, a creation of Martin Stangl and brought over from Fulper. 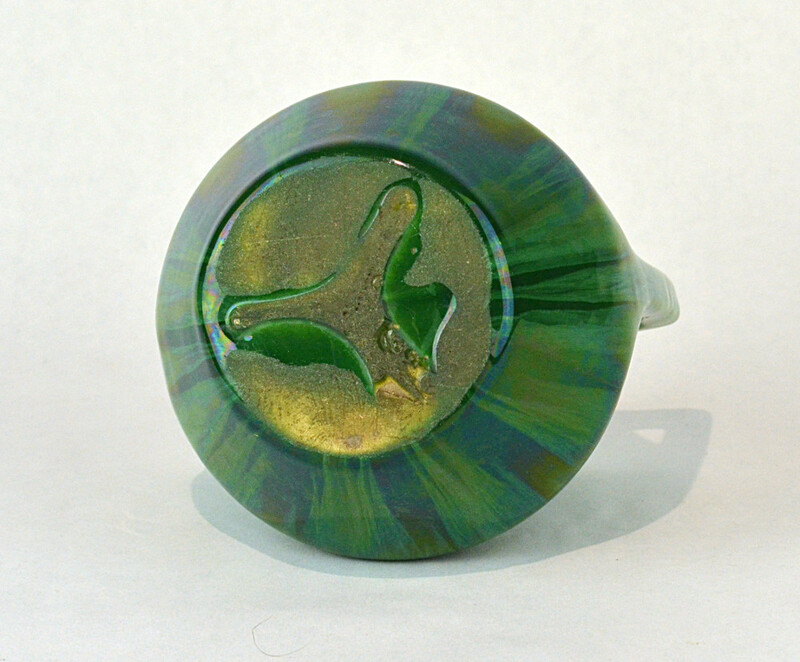 A tiny nick on left handle as seen in pics 1 and 3. About 4.5 inches tall. Around 1930.